CRIME, GUNS, AND VIDEOTAPE: Some History and a Guide for my Chicago Cop Brothers and Sisters on Concealed Carrying Civilians. Some History and a Guide for my Chicago Cop Brothers and Sisters on Concealed Carrying Civilians. Chicago, IL—The laws that were in place here for decades made carrying a concealed weapon by anyone other that a sworn peace officer, and few others a felony (UUW Unlawful Use of a Weapon). 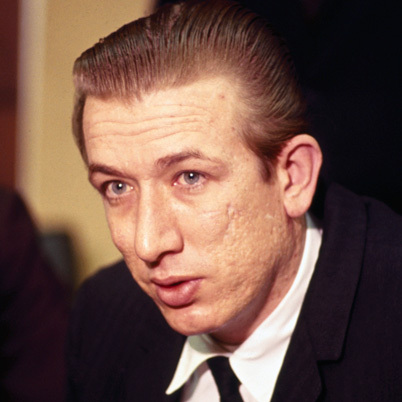 It was after police encountered mass killer Richard Speck with a concealed gun in 1966 that attitudes significantly changed. Speck had just slaughtered eight student nurses and was not yet identified as the killer. Just days later he was at the old Raleigh Hotel on the near North side, where he got into a fee dispute with a local prostitute and threatened her with a gun. The police were called and it was not handled as an emergency. Cops responded, confronted and frisked Speck. 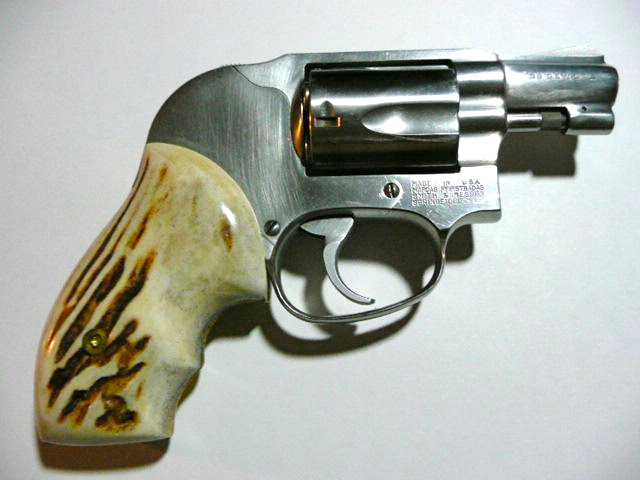 They found his .38 snub-nosed revolver. Rather than arrest Speck the simply did what cops did in those days. Since nobody was injured they just confiscated Speck’s gun and sent him on his way. Rather than inventory the seized gun the cops kept it for their own use. Soon Speck was identified and arrested after a young physician Dr. Leroy Smith identified him at the Cook County Hospital Emergency Room. Dr. Smith collected a nice reward but I must confess that a cop working the wagon transporting Speck to the hospital actually figured out who he was hauling. Legend has it that since the cop could not collect the reward himself he worked out a deal with Dr. Smith to split the proceeds 50/50. Once the late and great Chicago police superintendent, Orlando W. Wilson learned about the missed opportunity to pinch Speck with the gun he made some big departmental changes. All, “Man with a gun” calls were handled with lights and sirens. A zero tolerance policy for UUW was put in place. All guns recovered were to be inventoried and submitted to the crime lab for elimination testing for all unsolved crimes where fired bullets or shell casings were recovered. Police recruits attending the academy were given special indoctrination about making UUW arrests. It became a departmental unwritten standard that every cop that made a UUW arrest would be rewarded with 8 hours of compensatory time off. Gun pinches were a sure way to boost officer’s efficiency ratings. This gun policy was not about officer safety but simply suspending the Second Amendment. I must chime in here that the UUW pinches were nearly always incident upon the arrest for other and often far more serious violations of law. Otherwise law-abiding citizens carrying guns were not getting involved in criminal events and simply not getting frisked. That’s always been the case. In 1968 the Illinois Legislature made the law requiring people buying or possessing firearms or ammunition to submit to a background investigation and obtain a Firearm Owner’s Identification Card. The cards are routinely suspended and revoked for issues involving restraining orders, mental commitments and arrests. For Chicago cops some fear that those with permits and concealed weapons will suddenly endanger them. Today we have lots of data that shows there is no additional threat when the law-abiding are allowed to carry concealed firearms. They come from every state in our union. Cops need to be considered all people they come into contact with to be armed until proven otherwise. All reasonable precautions remain the same. As for traffic stops and such there needs to be an exchange of simple kindness. The gun-carrying citizens should discreetly tell the officers that he is authorized by permit and is armed. The cops should in turn treat that gun-packing citizen as part of the solution to violence rather than the problem. It has been the statistical experience that those folks holding the permits are an incredibly honorable and peaceful bunch. There are those anti-gun advocates love to throw out inflated statistics about revoked CCW permits. The truth is many permits are suspended or revoked on misinformation, error and data failures. Then there are those arrested after s shooting who are later cleared and have their permits reinstated. Too many on the job Paul that still consider themselves as gods gift and the only ones worthy to own and carry a weapon. They really need to look in the mirror because their firearms skills are poor to mediocre at best. CPD only fires 30 rounds a year. Its a right and not a privilege,you really do not need a plastic card to carry a weapon,you are born with this right as a US citizen. Excellent Article Paul. 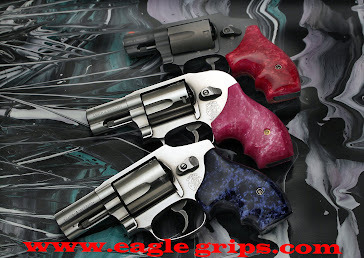 Can U advise where to get some cool grips like those on the pictured snubby? The grips are made from Sambar stagg by www.eaglegrips.com. Thr material has been embargoed from export in India and is difficult to find in the USA. Additionally it's almost impossible to Since stagg large enough to make the Secret Service model grip seen here. By the was I personally designed the Secret Service grip that's been copied by nearly every grip maker in the world. I would sell that pair pictured for $800.00 is someone wanted them at that price. Paul, you have so many interesting Chicago stories to tell, please write a book. I like your story about the security guy at Marina City who was using keys to break in the apartments. Working as a Chicago police officer I cannot even imagine what tales you can tell. I hope your friends in Chicago would look at the statistical database maintained by the Texas Department of Public Safety on Texas Concealed Handgun License (CHL) holders. 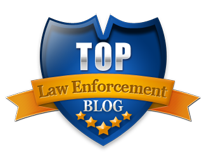 It is updated annually by law, and is available at the Texas DPS website. The database shows all suspensions and revocations of CHL holders, and then runs through every offense listed in the Texas Penal Code, indicating CHL holders who have been convicted for each specified offense; it also compares them to the Texas general population who have been convicted of the same offense. Only a tiny few of 530,000+ license holders ever commit a revokeable offense- Felony,Class A,or Class B misdemeanor or disorderly conduct. This is not blowing smoke- Texas CHL holders are VERY law-abiding, and we have the official statistics to prove it. In fact, as part of a paper I am writing, I compared offenses committed by CHL holders with those committed Texas Commissioned Peace Officers ( and Federal officers in Texas ) - CHL holders are statistically even more law-abiding than the cops. Texas peace officers do not fear CHL holders and almost all welcome their being armed. About 3 weeks ago, one of my CHL Renewal students was stopped while driving in Plano. As required by statute, he handed the officer his CHL along with his driver license. The Plano officer responded with a 5 minute lecture on why he should always carry, finishing with the admonition "don't leave home unarmed." She then wrote him a warning for a tailight and discharged him from the scene. I hope Illinois officers generally, and Chicago officers specifically, can overcome the mindset of "gun equals bad guy". Sadly , this requires the use of mature judgement and command emphasis on treating law-abiding citizens appropriately. 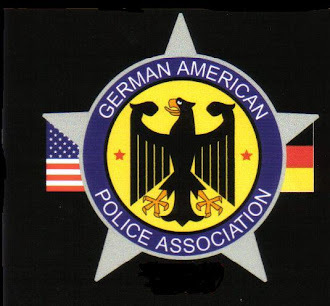 The other equally troubling mindset " only a badge conveys the right of having a sidearm" is no doubt also present. The only thing to do is to emphasize to officers ( and again, command emphasis and formal training will help) that citizens have Constitutional rights to arms as well. Cops are Constitutional officers, not superior beings. They might confer with colleagues in Texas. Chicago PD unfortunately, is run by Lib-Tards put in place by Chicagoland Politicians, via a corrupt promotional system. This is their way of controlling the Force as much as possible. Many CPD Coppers see right thru this facade, but many, especially the newer college educated Whiz-Kids, just follow the Regime's Agenda, Hook, Line, and Sinker, instead of proudly following the U.S. Constitution, they follow corrupt Leaders unConstitutional City Ordinances. Now that those have been officially ruled unConstitutional, predictably the City will still try to get its Officers to do their Socialist Dirty Work, then leave the Officer hanging out to dry when the charges and Lawsuits hit them. Chicago is run like the Kremlin in Moscow was, although just in more of a stealth manner. Hopefully their Regime will be curtailed soon, but since the Political Leaders pay off Lawsuits against them with Taxpayer Dollars instead of their own, it is doubtful, until one of them is actually jailed by a non-corrupt Crook-County or Federal Judge, for abuses and violation of the U.S. Constitution, if a non-corrupt Crook County Judge can even be found anymore in little Moscow by the Lake. Great design Paul, extremely nice. 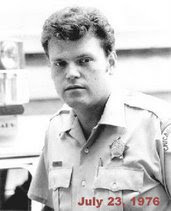 Some decades ago, I was a police officer in a rural Missouri community. The big lesson I learned is that law abiding citizens are just thst and they will often come to back you up if things are getting interesting.